We Challenge You to a FIGHT! God hasn’t asked us to win the battle for the hearts of our sons, only to fight faithfully. And the best way to fight is on our knees. Will You Accept the Most Important Challenge of Your Life? 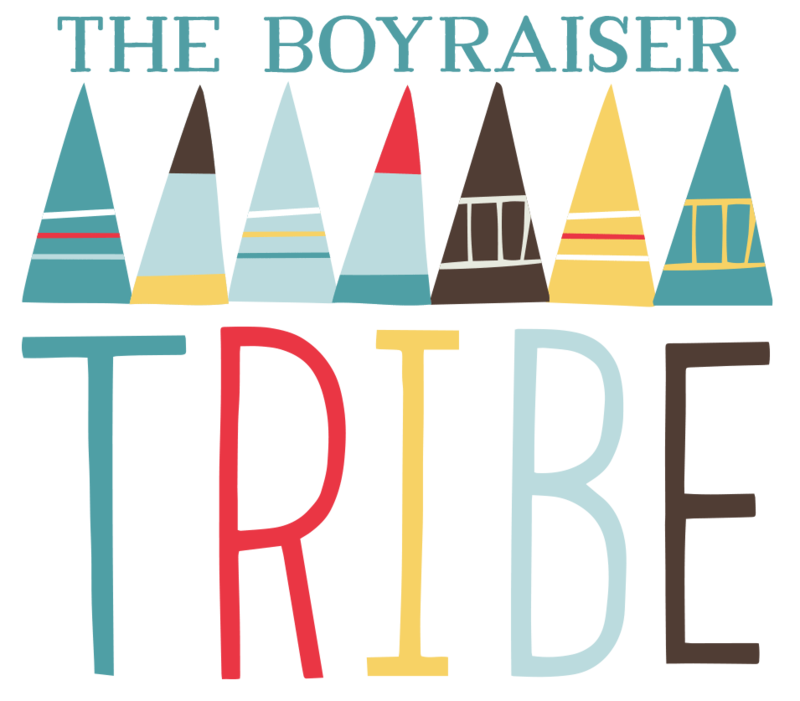 The BoyRaiser Tribe is designed to teach and equip you to make prayer a practical priority. You can impact your son’s life in about five minutes a day. We’ll show you how. As a member of the Tribe, you’ll receive the following items each month! 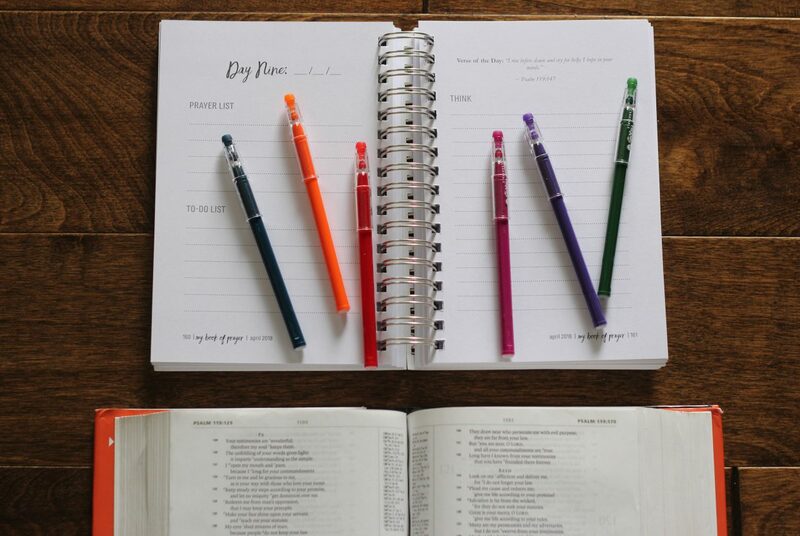 Members who register for the $30/Quarter Level Tribe Membership will also receive our quarterly printed prayer journal – from Praying for Boys author, Brooke McGlothlin, and The Mob Society. We know you’ll love it as much as we do! 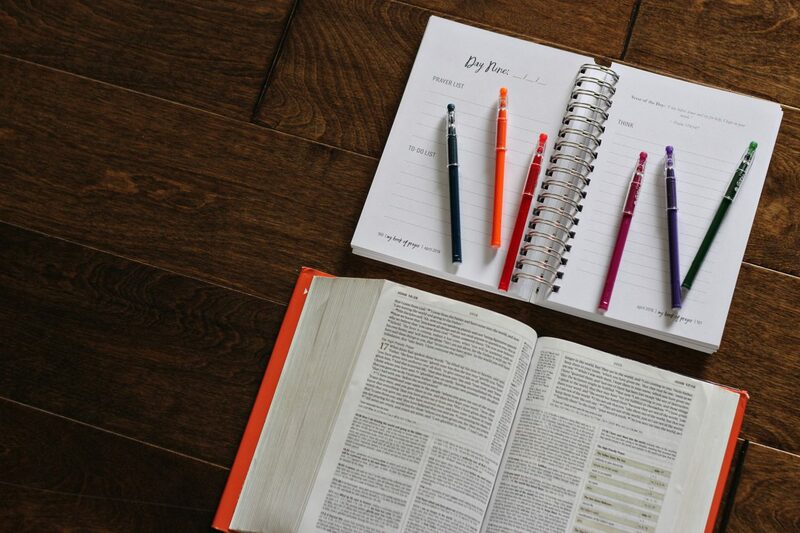 Pray the Word Journal is designed to help the busiest of moms make prayer a practical priority. Consider it the space where your prayers and God’s Word meet, allowing you to partner with Him as you parent your children. 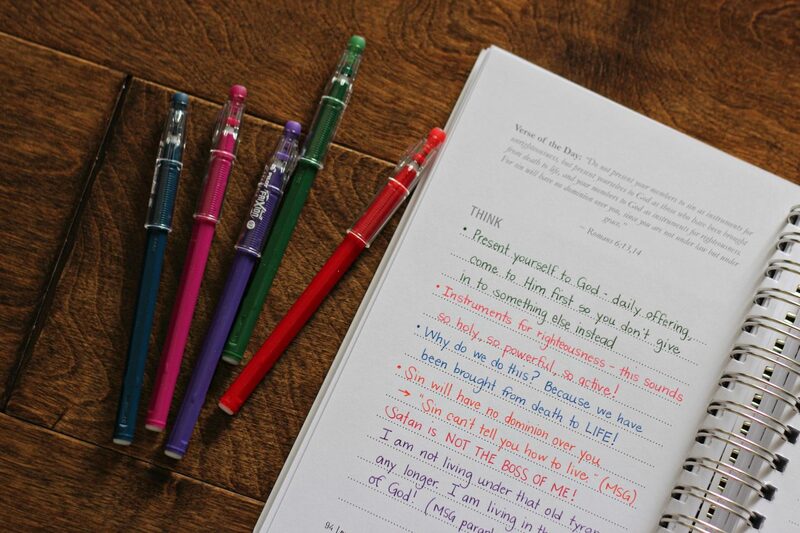 It truly is the prayer journal for every mom. 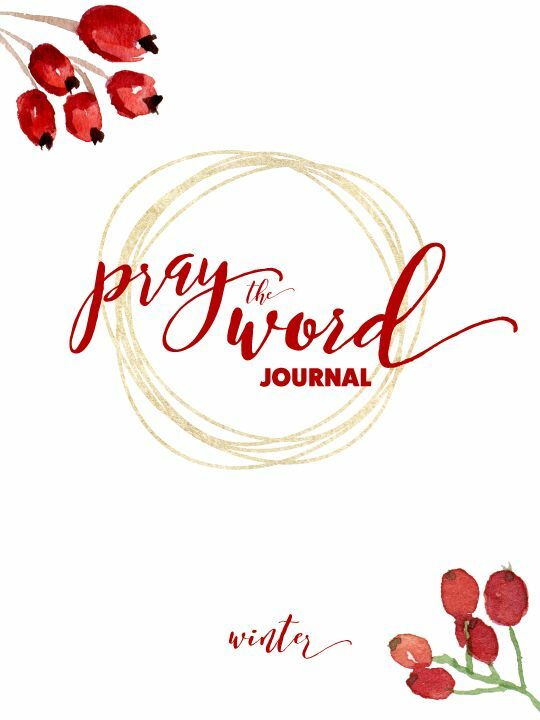 The prayer journal for YOU. Members registering after November 16th will receive the Spring edition when it releases in 2019 as their first shipment. 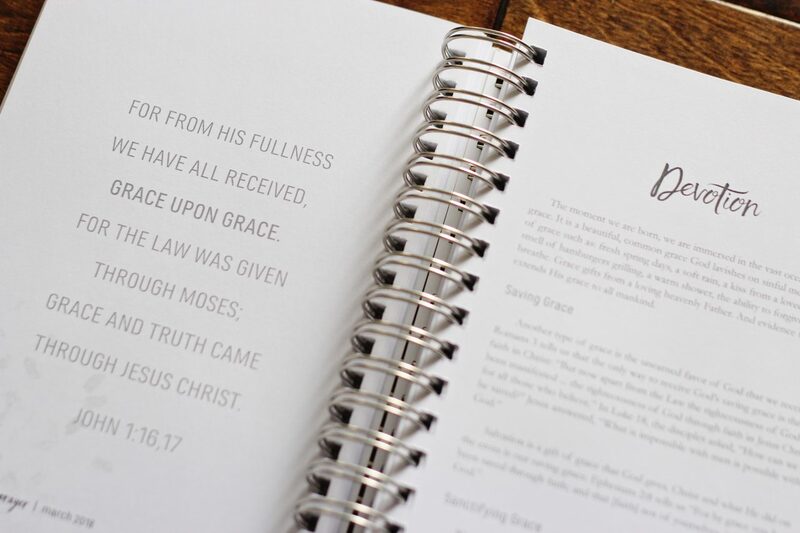 *Members receive each new quarterly printed prayer journal. As long as your quarterly payments are up-to-date. Take the guesswork out of knowing what to pray for your sons and let us do it for you! Each month, our team lovingly hand-crafts scripture-based prayers for your boys. 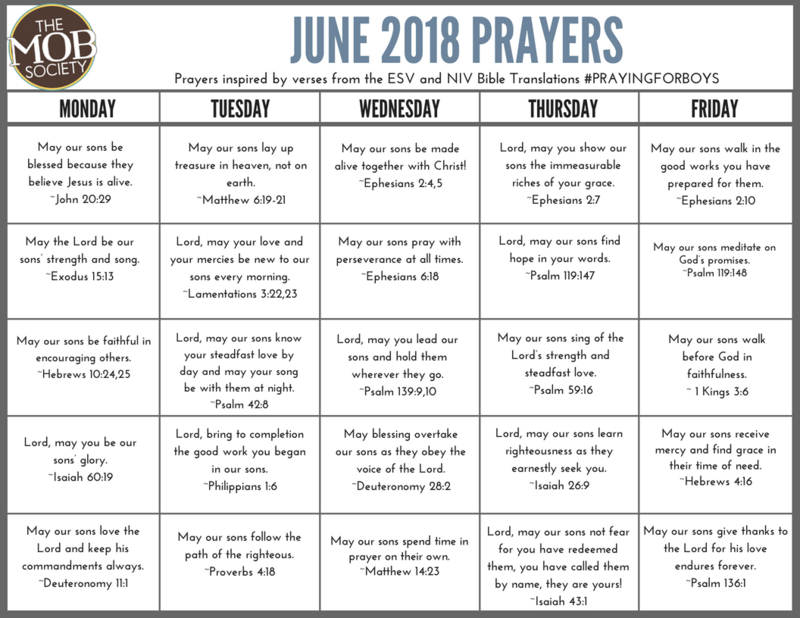 Print them out in a convenient, easy-to-use prayer calendar format! 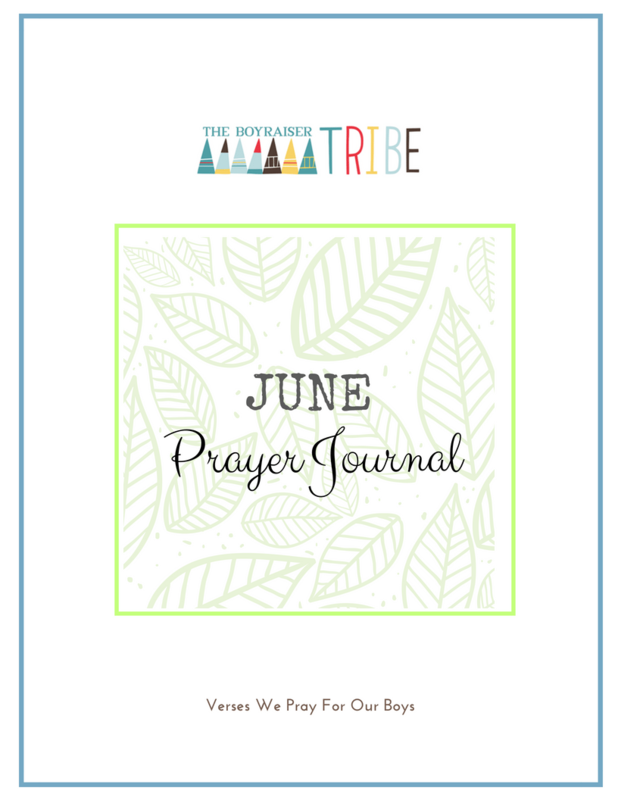 A beautiful Tribe monthly prayer journal. When combined with your monthly prayer calendar, our beautifully designed prayer journal gives you space to pour your heart out to God on behalf of your boys. It offers lots of white space, and thoughtful tips on how to pray. Exclusive member access to LIVE prayer events! As a member, you’ll receive access to our private Facebook group where Brooke McGlothlin frequently leads live prayer sessions! These events are both an opportunity to get covered in prayer by another boymom, AND an opportunity to watch a seasoned pray-er, perfect for those who are still learning the art of prayer! 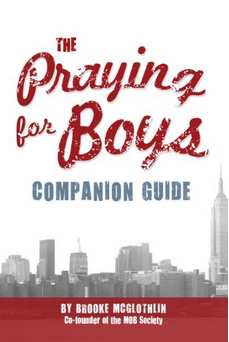 A copy of the Praying for Boys Companion Guide. A compliment to Brooke McGlothlin’s signature book, Praying for Boys, The Praying for Boys Companion Guide offers a behind the scenes, step by step process for learning to pray scripture for your own sons. It includes Brooke’s own creative process she uses for her boys, and several sample prayers to get you praying right away! TONS of valuable resources just for members! As a Tribe member, you’ll have access to a wealth of resources – podcasts, ebooks, interviews – designed to help you raise godly men. Discounts on MOB programs and selected products. Items such as our MOB Society tee-shirts, mugs, and our exclusive Fight Like a Boymom program (for moms of hard-to-handle boys)! We are convinced that prayer is the most important, most overlooked part of Christian parenting today. It’s our mission to change that, starting with you! 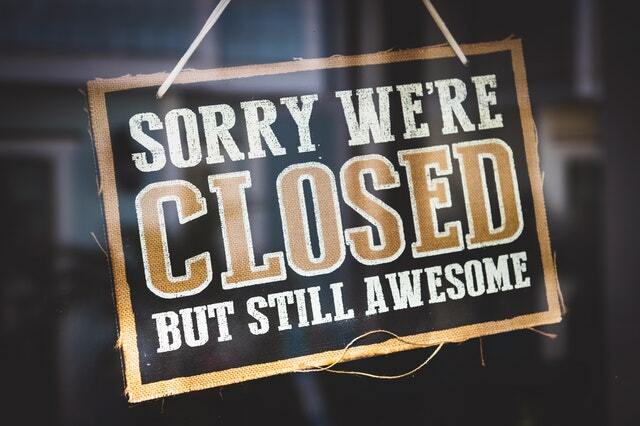 We’re sorry, TRIBE MEMBERSHIP IS CLOSED for the season. Please check out our blog and other resources here at TheMobSociety.com. We’ll be back soon! If their knees are ever to bend to Jesus as Savior, their hearts must bend first. This is the place of a mama’s prayers. Join the Tribe today and get started on the fight of a lifetime! “I loved it! The calendar is up on my fridge and I’m using the guides – very appropriate for where I am and the things we are experiencing with our three boys. Thank you for all of your hard work and the hope you share with other mothers!